Since its founding in 2000, CrossFit has shown explosive growth on all fronts: number of affiliate gyms, annual revenues, and online conversations. It’s seen such growth that it was propelled to number ten on our list of the top outdoor stories of 2013. CrossFit is a perpetually changing mix of aerobic exercise, gymnastics, and weight lifting, but there’s something else that nobody seems to be able to put their finger on. Is it the camaraderie? The fact that there’s something new every day? Or maybe it’s the way your muscles have started revealing themselves in places you haven’t seen for years. As you can see from the consumer searches on Google, CrossFit has shown explosive growth while other traditional big brand gyms have remained relatively flatlined. 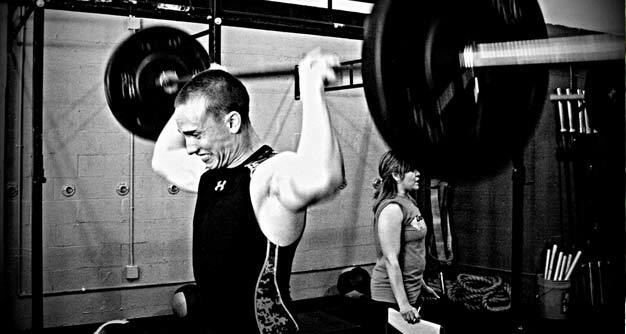 Can CrossFit Brands Maintain Growth? Although trademark infringements on the CrossFit name are monitored closely, there are still many brands making hay from the trendy workout craze. The first one that comes to mind is Reebok, the premiere sponsor of the CrossFit Games and one the exclusive brands allowed to use the name. With their line of CrossFit shoes, apparel and accessories, Reebok is truly becoming synonymous with CrossFit. Another is Rogue Fitness, an official equipment manufacturer for CrossFit gyms. Still other brands are finding ways around the trademark usage problems. Online retailers like WOD Shop (Workout of the Day) and Box Basics (a Box is a gym) are able to thrive off of apparel, accessories and equipment that doesn’t carry the CrossFit namesake: everyone from Nike to Under Armour. While the CrossFit brand itself seems to be one of those unicorn companies like Ford or Apple that has the vision to spring ideas into the marketplace without consumer input, not all of the associated brands have that luxury. There is more competition and therefore, consumers will be relying on their own research to make buying decisions. In order to maintain growth or gain a competitive edge, the user experience must be measured and acted upon. With the popularity of CrossFit and and a wide mix of associated products and brands, there are tens of thousands of reviews out there. These are the user experiences customers are sharing, and they are relied upon by future shoppers comparing products for their own needs. Not only does this data have immense sway over sales, there is vital feedback for the brands to use in a multitude of ways. When used correctly, this feedback can determine decisions that help brands stand out in the Age of the Consumer. Until recently, the challenge has been that aggregating product reviews is a cumbersome process. Channel Signal makes aggregating reviews and turning them into actionable insights easy, with our three pillars of success.